Loving the versatility of denim shirts. Wearing the fall staple is as easy as 1, 2, 3. For a fun look, pair it with brightly colored jeggings or printed jeans. Take cue from fashion bloggers worldwide by pairing your denim shirt with leather leggings and cowboy boots. Layer under a blazer, wear a big statement necklace and leave the top buttons unbuttoned for a dressier look. 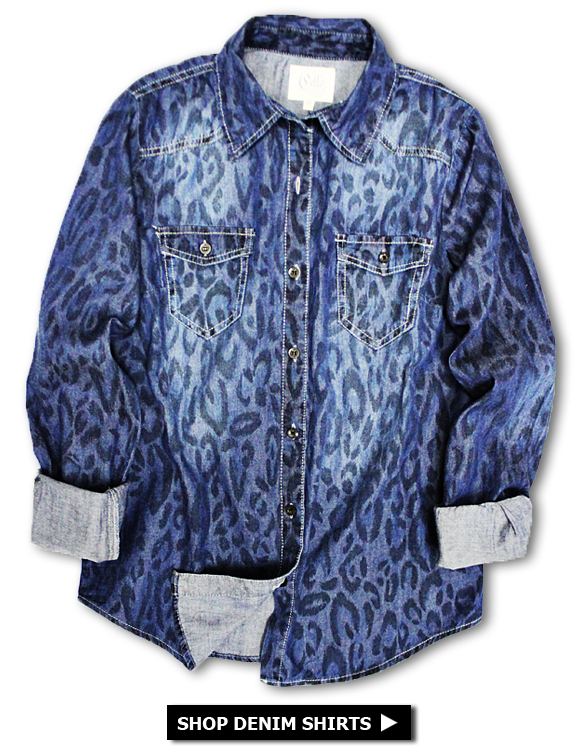 Don't just limit yourself to one denim shirt, build a collection of different washes and prints.